Bigger is better. No, wait, bigger is worse. Well, which is it? Apple’s newly supersized 4.7-inch iPhone 6 and the jumbo, 5.5-inch iPhone 6 Plus are a marked departure for the company, which has clung to the same, small screen size for years. It has gone so far as to publicly deride larger phones from competitors, notably Samsung, even as their sales grew to record highs. 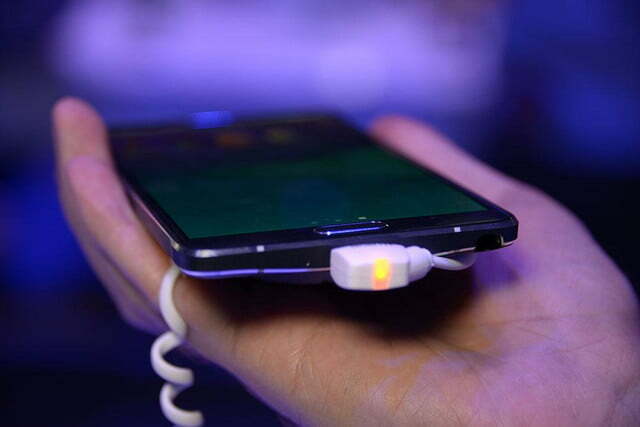 Tech reviewers over the years have tended to side with Apple, in general saddling reviews of the Samsung Galaxy Note — a 5.3-inch device that kicked off the phablet push in 2012 — with asides about how big the darn thing was. 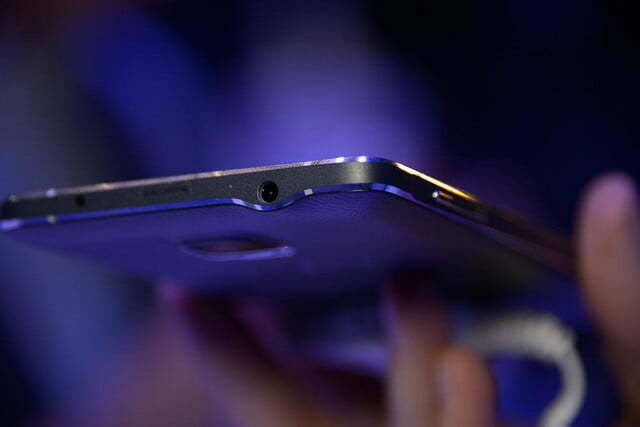 To be fair, I’m one of them; I called the 6.3-inch Galaxy Mega “preposterous” last year. I also think the iPhone 6 Plus may be more phone than most people will be comfortable with, although the skyrocketing sales seem to point otherwise. But does Apple have something special? Can its phones succeed where others have … well, already succeeded? And more importantly, are tech reviewers being fair when they review the iPhone 6 Plus? Here’s what some of them said today, compared with how they reviewed earlier phablets and big phones from the competition. Jonathan Geller spun 180 degrees thanks to Apple. But he’s decent enough to admit he was wrong. The most useless device I’ve ever seen … This is a phone, after using it for a few hours, that feels like it is too big to be taken seriously. That’s the end of it. I don’t care if you like large screens on mobile devices, I don’t care if you love Android, and I don’t care if you love 4G LTE — this is a device fit for use only by such a small subset of the human population that I can’t fathom how AT&T and Samsung are putting so much marketing resources behind it. Now that Apple has finally taken the wraps off the iPhone 6 and the iPhone 6 Plus, and Apple fans are going crazy with anticipation over the largest iPhones ever released, something needs to be said. And that something is, “Thank you, Samsung.” We got it wrong. 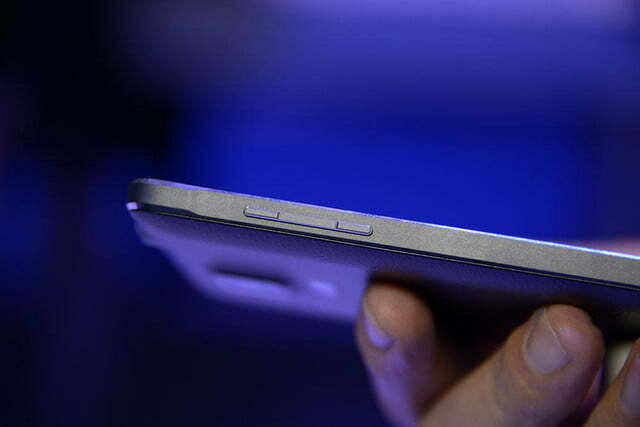 TechCrunch wasn’t sure how it felt about phablets at first. But larger iPhones have clearly convinced them. Unfortunately, you might look a little crazy with that huge thing up to your face. I found that it was really difficult to get comfortable with the device, never feeling like I had complete control over it as I would with a smaller phone. On the other hand, the mobile video experience offered by the Note can’t really be beat. In terms of carrying and holding the device, the additional size makes for a less ‘perfect’ ergonomic quality, something the iPhone 6 definitely achieves, but there’s still lots to love about the industrial design of the 6 Plus … For most tasks, I find the iPhone 6 Plus to be a two-handed device – but I also find that I’m absolutely fine with that. It’s still too big for a smartphone … After testing it over the past week and a half, the awkwardness that came with carrying such a large, “notice me” phone outweighed the benefits of it, for me. Maybe I’m getting old, and my eyes are getting worse. Or maybe I’m stuck in Apple’s reality-distortion field (help). But something strange happened this week. I started to like a phablet. That iPhone, and its four-inch successor, the 5S, proved very popular. At first, larger, wider phones seemed weird (I even compared holding the first Samsung Note to your face to “talking into a piece of toast.”) But for many people, especially in certain countries, the iPhone’s screen began to seem too small, as competing models appeared with bigger and bigger screens. At first, larger, wider phones seemed weird … the iPhone 6’s 4.7-inch screen is a catch-up feature. But it’s very well done. For David Pogue, a 4.8-inch Samsung was great, but so big it needed to be ridiculed. 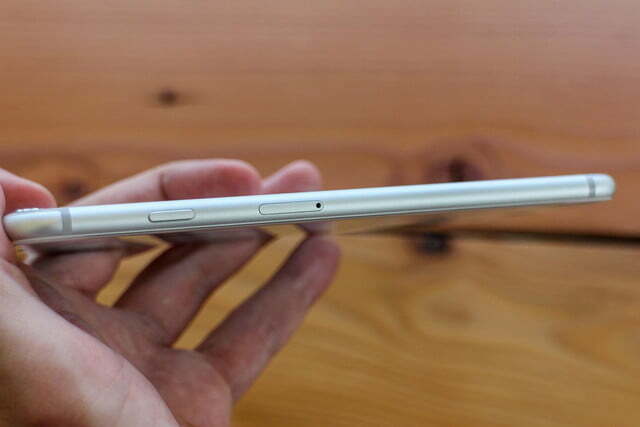 A 5.5-inch iPhone “doesn’t seem bigger than the iPhone 5,” however. He’s clearly adjusted to the scale. This phone is huge. 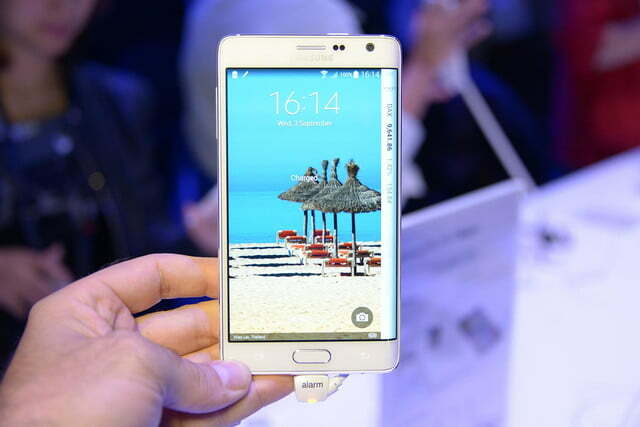 Its 4.8-inch screen is a broad canvas for photos, movies, maps and Web pages. But you can’t have a big screen without a big body, and this one is more VHS cassette than postage stamp. It’s the old trade-off: A big phone is better when you’re using it, but a small one is better when you’re carrying it. 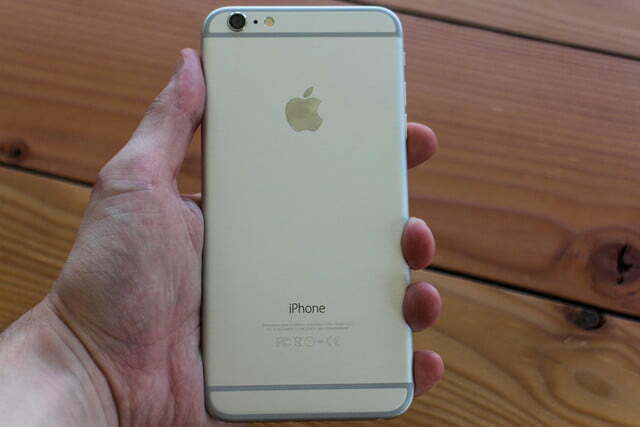 The iPhone 6 and iPhone 6 Plus are absolutely terrific phones. They’re fast and powerful and well designed. There’s not a single component that hasn’t been improved. These phones are a delight to behold and to be held. Looks like The Guardian had a change of heart, err hand? At least they’re not above admitting it. The sheer size of the device basically makes one-handed operation impossible. Samsung’s given the Note 3 an entire settings menu dedicated to trying to make it easier to use one-handed, but even with my adult male-sized hands it’s a struggle to reach even half of the screen without dropping the device. Too big. This thing’s too big. Waaay too big. It’s … actually, that screen is pretty nice, isn’t it? Wow, you really can get a lot of content on there, can’t you? Hey, my hand’s getting used to the size. It’s quite comfortable, isn’t it? Ed Baig stuck to his guns: Phablets in general just aren’t going to work for everyone, regardless of who makes them. Screen size is a balancing act, of course, and some will find the large display ungainly. Holding the phone to your ear might feel a bit dorky. I found it could easily fit in a coat pocket or purse, and surprisingly my front jeans pocket as well. But the size is simply not going to work for everybody. I prefer the 6 Plus because I like the biggest of the big screens, and like that I have to squint less often. It felt fine in my jeans pocket, but won’t fit every snug purse or small pair of hands. 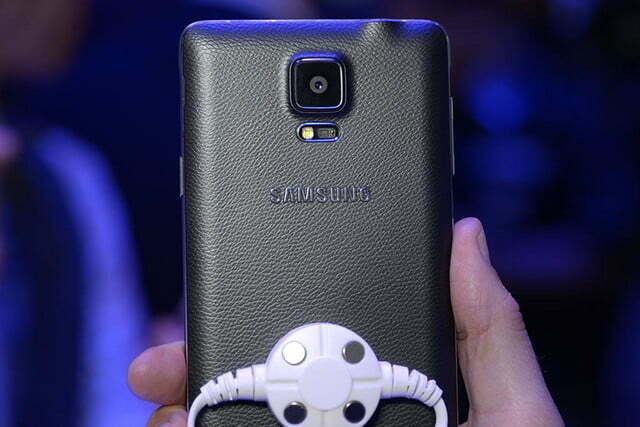 CNet’s reviewer said the Note was a really, really big phone, but a great one. The iPhone is a great phone but a really, really big one. There’s no way this baby is slipping into my jeans pockets, but it’s fine for my purse … With its huge screen and throwback stylus, the Samsung Galaxy Note is a polarizing smartphone that winks at tablet territory. Those who like their screens XL will find a top-notch device that lets multimedia shine. 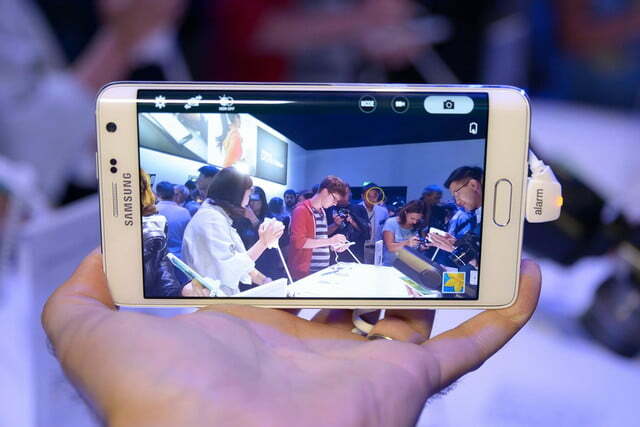 The S Pen adds some artistic potential, but for some, the phone will just simply be too big. 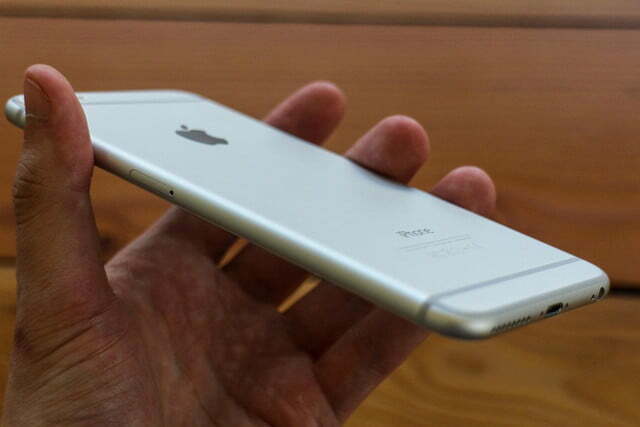 The iPhone 6 Plus is too big for everyone to love it, but it’s Apple’s best phone this year. If your budget and your pocket can make room for it, give the iPhone 6 Plus serious consideration. 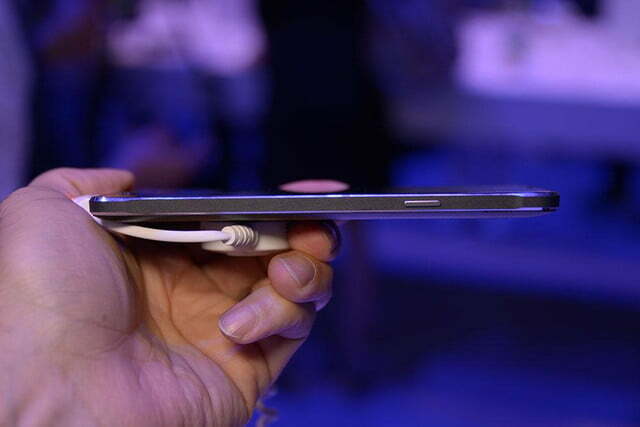 At first, The Verge was obsessed with the sheer size of the Note. Today size isn’t the same factor it once was. Human society has yet to evolve to the point where it can witness a person holding up a massive slate of technology to his ear without attempting to make a bad joke about it … It’s only the one-size-fits-none form factor and some software troubles that hold the Galaxy Note back from being a truly memorable mobile device. The iPhone 6 Plus is a big phone because it has to be; Apple made a big phone in 2014 because consumers have demanded big phones. Samsung’s empire is built on gigantic phones that keep getting bigger … and while Apple initially derided screen size as an unworkable gimmick, it turns out that bigger sells … I’m going to buy an iPhone 6 Plus. I’m taken with it; it feels like an entirely new kind of device for Apple, and it has such a killer camera I can’t say no. Galen Gruman gets the award for consistency — and bluntest statement about the sheer size of modern phones. 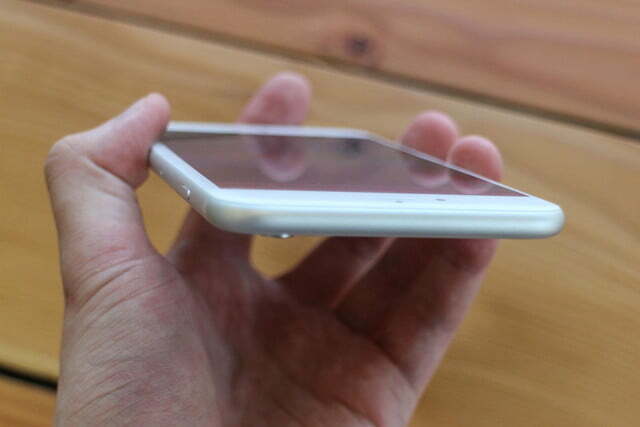 The Galaxy Note’s 5.75-inch height and 3.25-inch width fit in my open palm, but without much leeway. Many women and even men won’t be so lucky. … Even two-handed operation can be problematic. In vertical orientation, thumb-typing is quite comfortable on the larger-than-usual onscreen keyboard. But in horizontal orientation, I strained to reach the innermost keys with my thumbs, despite my large hands. The iPhone 6 Plus is too big for me. We can’t very well call out other publications without quoting ourselves. 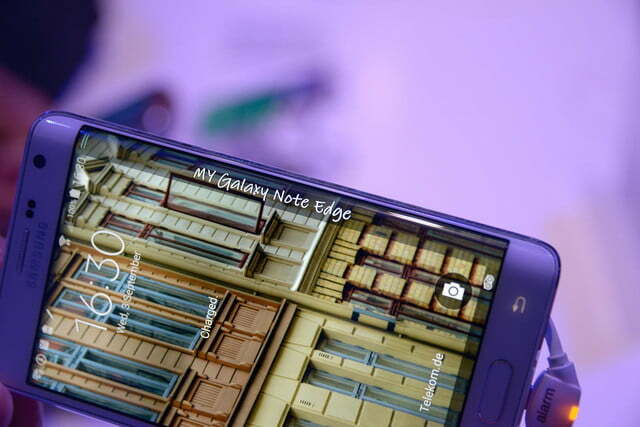 Here is what our Mobile Editor Jeffrey Van Camp thought of the Galaxy Note and iPhone 6 Plus. I can’t imagine how many times a Note will be dropped because someone is trying to use it one handed … If you have big hands or often use your phone with two hands, then the Note may be a good device for you. 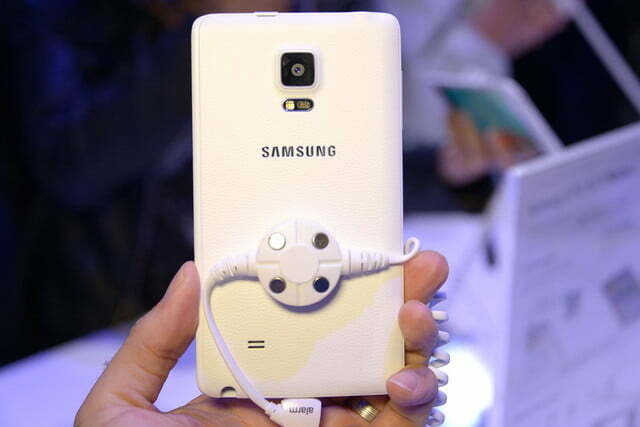 Aside from its size, most everything else about it is solid … Samsung hasn’t made a huge mistake with the Galaxy Note. I’ve never loved phablets. I still don’t … Of Apple’s two new models, we recommend the iPhone 6 over the iPhone 6 Plus, but compared to other (oversized) phablets, this is a fantastic offering … If you like big phones or have avoided previous iPhones because of their diminutive stature, take a fresh look at Apple.